Custom Built can help you eliminate these problems with gutter guard installation. Gutter guards are a protective covering placed over the gutter that allows water to enter but blocks leaves, twigs, and other debris. Installing gutter guards is a "once-and-done" upgrade that will protect your home from all kinds of moisture damage. If you're interested in gutter guard installation for your home, call us today at 1-833-227-6095 or contact us online to get started with an inspection and estimate. We offer free estimates on all our services in Shelton, Trumbull, Stamford, Fairfield, Norwalk, Danbury, Hartford and the nearby areas. Will the gutter guard filter out all kinds of materials? Generally gutter guards will keep all but the smallest debris out of your gutter, though some screen or mesh-type gutter covers won't prevent small particles like plant seeds & granules from your roof shingles from accumulating in your gutters. 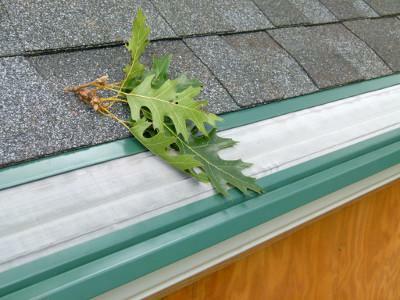 The type of trees around your house should be considered when choosing gutter guards. If you have issues with clogged gutters or gutters that frequently need to be cleaned, gutter guards could be the solution you need. The experts at Custom Built can inspect your home and recommend the right products for your needs. If you're interested in gutter guard installation for your home, call us today at 1-833-227-6095 or contact us online to get started. We offer free estimates on all our work in Stratford, Milford, Orange, Shelton, Trumbull, Stamford, Fairfield, Norwalk, Danbury, Hartford and the nearby areas.